The cuisine of Indian Sub-continent is a combination of different subtle tastes and flowers as are the varieties of climate and peoples with their distinct cultures and traditions within this vast land-mass. Though basically the cuisine is based on curries, there are definitely distinctions between regions within the Sub-Continent. Bangladeshi's, for instance, prefer fish dishes with extra sauce. Taking it with rice, whereas in South India and Pakistan, they like more spiced meat dishes and herbs with breads and chapattis.. The Application of Indian spices and herbs with a variety of their combinations is an art, achieved through generations of experiment and studies with cooking and tasting. Indian cooking, broadly speaking has three different groups. The northern and Eastern regions have a tendency towards Persian, Mughal and Turkish styles of cooking, the Mughal Emperors in particular encouraged and patronised the development of Mughal cuisine, music and arts. Persian charcoal-fired clay ovens (the tandoori) are used to cook such exquisite dishes such as kebabs, tikkas etc, with pilau rice and Biriani as savoury. Spiced vegetable dishes are of the western regions, while hot dishes are found mostly in the central and southern regions. The subtle tastes and flavours of 'Taj Cuisine Tandoori' are quite varied from many other restaurants, amongst the carefully chosen dishes in this menu you will find an enjoyable explosion of your taste buds from all three regions described above. Chatham's premier restaurant. 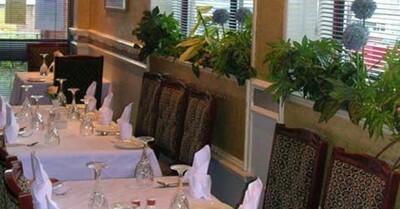 Our outstanding selections of Indian and Bangladeshi dishes are specially prepared by our own experienced chef. To enhance your dining experience further you will be served by well trained staff who are always available for your service. Asian Curry Awards 2011 and Curry Chef of the Year 2011.
i absolutely love this place. I'm a regular customer here and i absolutely love the food, service and the diversity that the restaurant offers. the restaurant has a wide range of dishes and specials to offer which are absolutely delicious. I really have to rate how amazing the food is as it is freshly made with amazing spices, and if thats the case i don't really mind to wait for my food an extra 15 minutes! i strongly recommend this restaurant as it is a mind blowing place! Here they served the best Indian meals in towm. we are regular diners at the taj. food and service is outstanding! i would recommend for everyone to visit the taj.